Are you an artist or gallery? Whether you are enquiring about one of our artworks or you would like some art consultancy advice for a particular space then please get in touch, we would love to hear from you! Either complete the form provided below or alternatively contact us on the following. 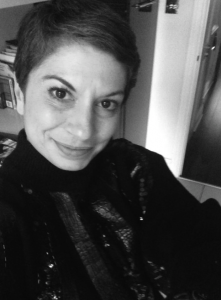 Eleni Polycarpou is the founder and director of ARTful. Having studied Art & Design through college and graduating with a degree in Interior Design, Eleni has since worked in both the creative and property sector. It was whilst working as a property manager she was appointed the role of sourcing and installing art across a portfolio of commercial properties in Mayfair, which she developed and managed since 2010. Believing passionately about this synergy Eleni left the property world behind and created ARTful in 2013. Since then, Eleni has provided corporate clients sympathetically installed, contemporary art to otherwise void or dull spaces in main reception areas. Working closely with galleries or artists Artful are able to offer a variety of art along a different type of exposure and an additional platform to showcase work. Eleni has since built a portfolio of corporate clients in Central London curating rotational installations, promoting the importance of art within the most highly visible areas and how it is the most cost effective way to add value to an organisation’s identity and ethos. It’s a conversation starter and it allows individuals to engage with art where they otherwise wouldn’t expect to do so, empowering creative thoughts.